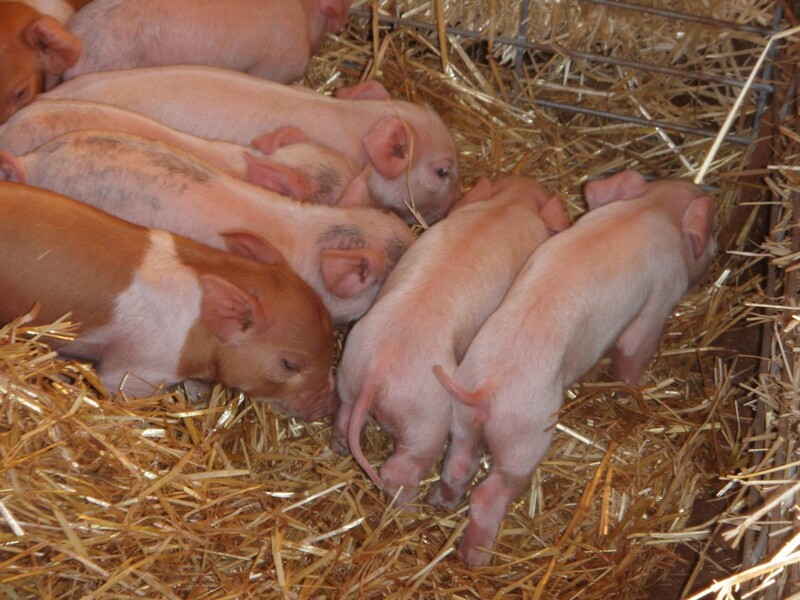 Every one of these piglets has a characteristic that makes them "feral" by the Michigan standards. I am so thankful I don’t live in Michigan, but I am also very, very sorry for the folks who do. Here’s why. Governor Rick Snyder recently signed into law an “Invasive Species Order” that allows the Department of Natural Resources to kill pigs that exhibit “feral” characteristics. The avowed intent of the law is to prevent the transmission of pseudorabies from feral to domestic hogs. The law was sponsored and pushed through the legislative process by the Michigan Pork Producers Association. In 10 years Michigan has records that only 70 feral pigs were killed in a state that contains 96,716 square miles of land. Let’s see, sharpen my pencil – that’s one pig in every 1,381 square miles. There is no evidence that feral pigs have transmitted pseudorabies to domestic hogs in Michigan. The law is written in such a way that heritage breeds (and many domestic pigs) qualify as feral. A pig who has erect ears, spotted or patterned coat coloration, straight tails or any ONE of nine other characteristics qualifies as feral. That means all of my pigs would be killed under these guidelines. Never mind that they are in no way feral and never have been. Anyone who keeps pigs that meet these characteristics can be jailed as a felon for up to two years and be fined up to $20,000. The ISO particularly targets heritage breeds, which do not have the genetic uniformity of pigs raised in CAFOs by most of the members of the Michigan Pork Producers Association. No remuneration is given to farmers who have spent years building up their herds and businesses. They must either kill their pigs or allow them to be killed, effectively putting them out of business. 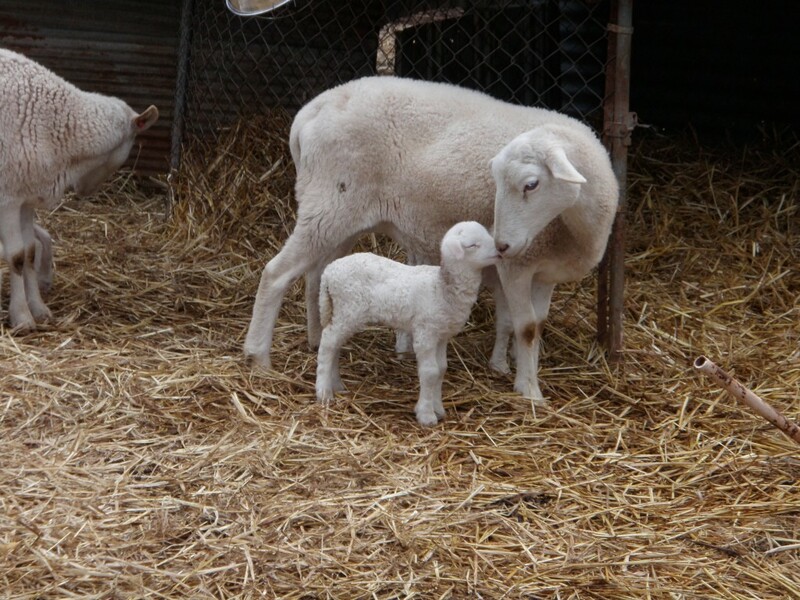 Our Katahdin sheep are bred from heritage breeds. Does that make them feral? What the heck is the Michigan DNR doing on private farms? Their responsibility is wildlife management. If the hogs were truly feral and roaming free, I could see it, but these are domestic pigs raised in confinement. Heritage breed hogs have been domesticated for hundreds of years and have been raised on these small family farms for decades. All of a sudden there’s such a serious problem that they must be slaughtered en masse to protect “domestic” hogs? Could it have anything to do with the growing market for local food and heritage pigs such as the Mangalitsa that is successfully competing with CAFO-raised pork? Why is the Michigan Department of Agriculture and Rural Development so silent on this issue? From what I can find on their website, it looks as though they supported this travesty. Is it a coincidence that the ISO regulation was sponsored by MPPA board member and owner of High-Lean Pork Harley Sietsema? High-Lean Pork owns 250 of the 313 CAFO pork operations in Michigan. The most disturbing thing about this whole business is that if Michigan is successful in enforcing this law, big agribusiness conglomerates all over the US are going to use similar tactics on competitors. Small family farmers who raise “unusual” animals are likely to find themselves in jail or without a livelihood. If this sort of tactic can be applied to pigs, it can be applied to chickens, cows, horses, sheep, goats – any farm animal and any farmer or rancher. Even more worrisome, in a world with ongoing climate change, superbugs and serious environmental problems, we need more genetic diversity, not less. Remember the Midwest corn crop in the 1970 that was decimated by corn blight because it was highly inbred with Texas cytoplasm? Over 15% of the corn crop was ruined, and because corn is used heavily in feeding beef, the price of beef also went up. What about the Irish potato famine of the 1840s? Between death and emigration, Ireland lost millions of people. Wheat rust strain Ug99 is currently spreading across Africa, and 85% of the wheat varieties tested are susceptible to it. This entry was posted in Farms, Food, Freedom, Health. Bookmark the permalink.